Meets EPA laws for installation in Toy Haulers, Travel Trailers, Fifth Wheels, Horse Trailer, and other applications where the generator has a dedicated fuel tank. 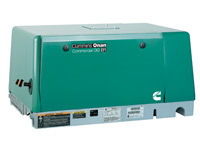 WE CARRY THE FULL LINE OF ECI FUEL SYSTEMS TANKS TO FIT NEARLY EVERY INSTALLATION NEED. IN THE LOWER 48 STATES ONLY! Accessory kit with Remote Switch w/ Hour meter, 25ft Remote Harness, and Exhaust kit is an additional $149.97 with the purchase of a new generator. Delivery to a commercial address or the nearest UPS Freight terminal is included in this price to the lower 48 States only. This product was added to our catalog on 03/08/2012.